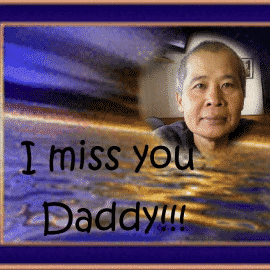 Phy Nheung, age 51, of Lowell, MA was called to heaven Saturday, October 11, 2014, from congestive heart failure. Funeral services details will be provided soon. Details in the works. Phy is survived by a loving toddler grandson, a teenage daughter, a college age son, girlfriend, and distant siblings. Phy was the best brother, Dad, Uncle, and friend anyone could have ever asked for. He was the most loving, caring, selfless, positive people one will ever know. He was always willing to help others. Whenever I needed him he was there. I’m sure others would say the same. No questions asked and no judgement passed. He loved unconditionally. His grandson, daughters, and son were his pride & joy. He was so happy to be a grandfather. He raised his toddler grandson while he was having health issues for over 8 years. Did an amazing job supporting his children through school and scholars programs. His son is a naval marine cadet. Phy was really warm and funny. He brightens everyone’s day. Dearest sweetheart at the work place. .. We were all blessed to have him in our life. He was taken from us too soon and no one was prepared for the grief that we are going through. His family can use assistance raising funds for his funeral services to include the Traditional Cambodian 100 Day Ceremonial services. Please go to this link to Invite family and friends – send a message to others to invite them to visit and contribute to this memorial. Healgrief has a memorial to share with you. https://healgrief.org/phy-nheung-10112014/ We invite you to express condolences, share special memories and photos and light virtual candles to honor and celebrate the life of our loved one. We also invite you to share this with others who may want to be notified as well. You may do so by sharing the link or by clicking the “Share this Memorial” button from within the memorial itself.